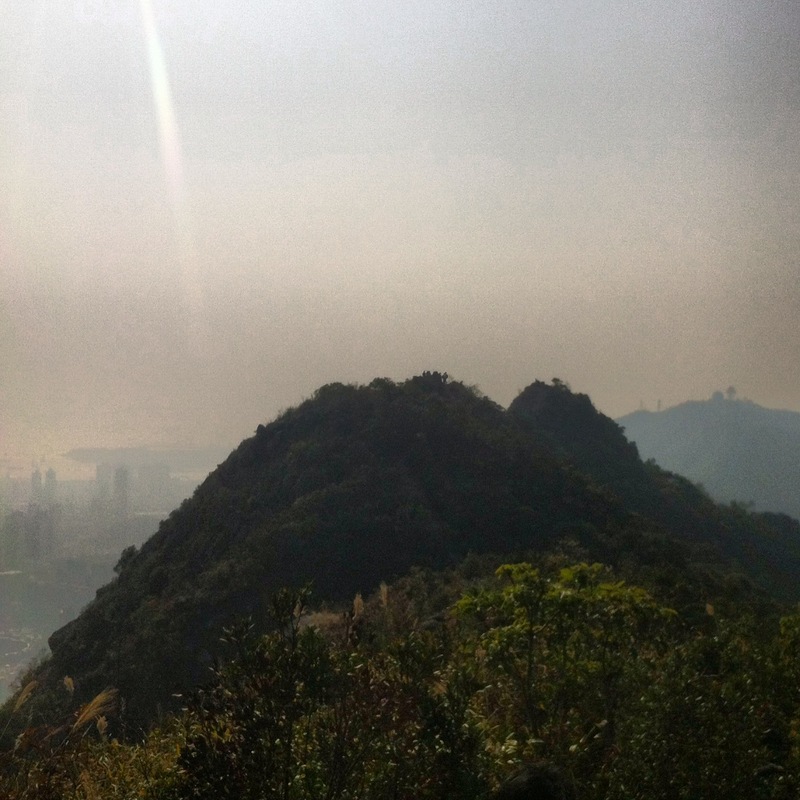 There are lots of fantastic hiking trails in Hong Kong but we opted for the trek up to Lion Rock – named so because it looks like a lion… if you squint a bit. 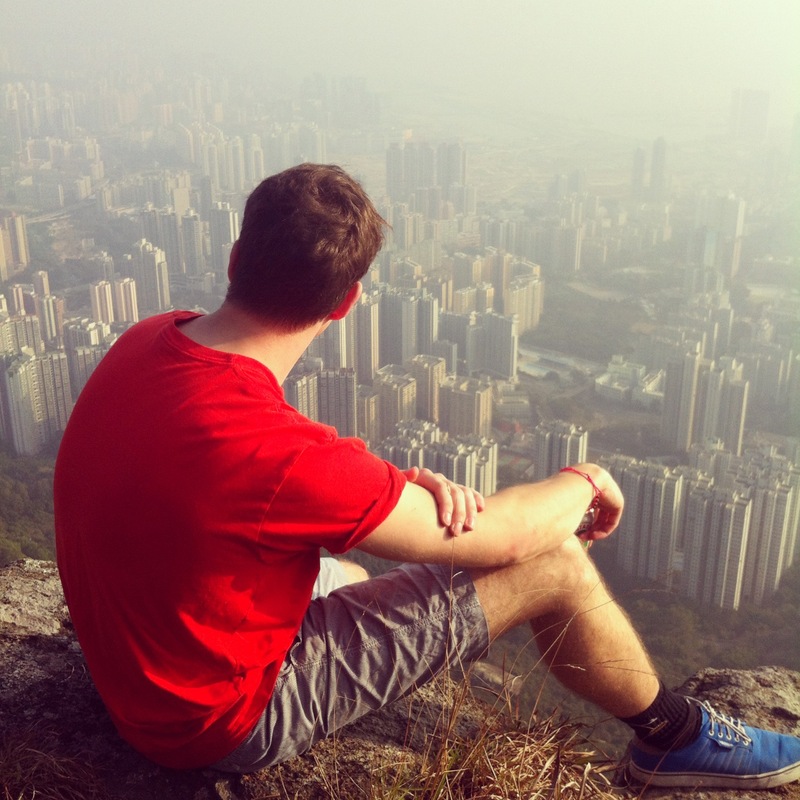 It’s a relatively easy hike to find and joins up with the MacLehose Trail. Get off at Wong Tai Sin MTR station, head towards the minibus terminus, turn left on Sha Tin Pass and keep going, keep going, then keep going a bit more. Be warned there’s some uphill road walking before you find the start of the trail – it took us about 40 minutes. Once you spot the big ornate arch, stock up on any goodies from the nearby shop and walk a few hundred metres to the start of the trail. 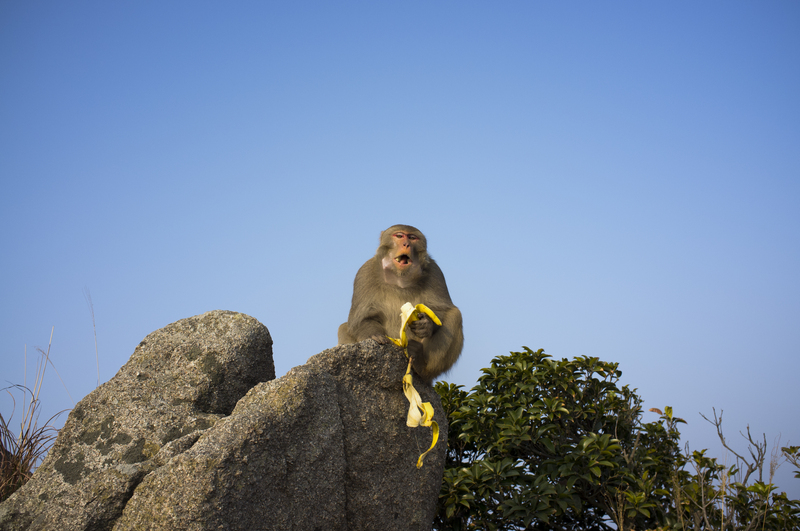 You’re joining the MacLehose Trail on Stage 5 (the full stage is a good 10.6km). I’m no Olympic athlete but I do exercise fairly regularly. I was a little hesitant when I read that a lot of the trail was uphill but I was surprised to find that, apart from a couple of stints of tough steps, I didn’t struggle too much. That didn’t mean there was no sweating involved! The trail is clearly marked and winds its way up the hillside, collecting height fast. There are plenty of opportunities to take alternative forks in the road but we opted to head straight for the top. When you reach the first crest with the 495m sign, make sure you keep going along the track to the next peak before you fully relax. Our journey back down was much quicker thanks to the growling monkey at our heels and it’s a pretty easy, pleasant stroll back down to ground level. When you reach the pavilion, make sure you take the path left of the signpost and follow the paved walkway all the way down. 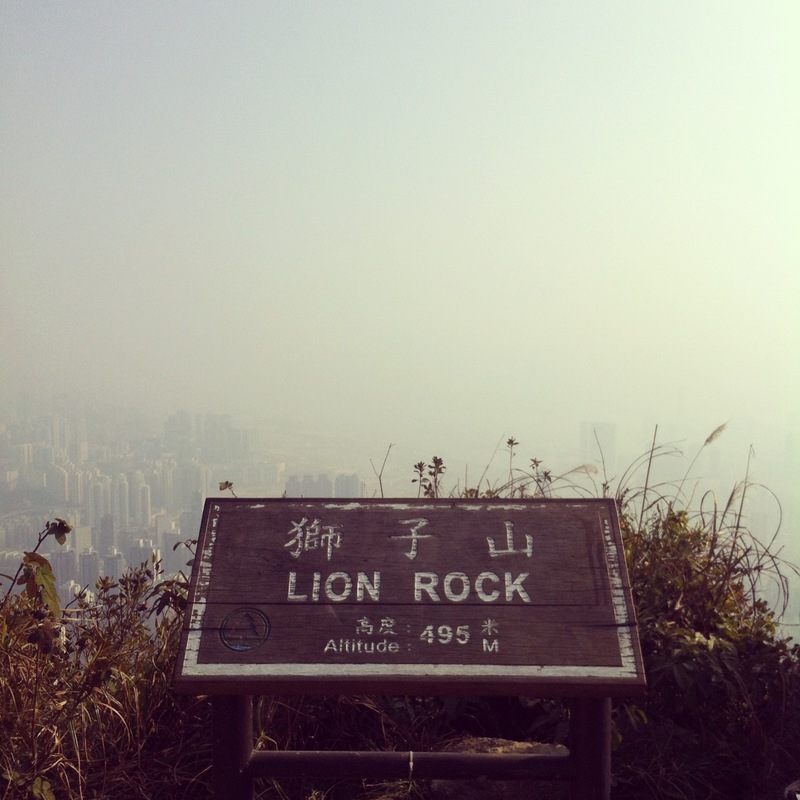 You’ll end up by Lion Rock Park with the smell of barbecues tempting you to undo all that hard work. From here you can follow the signs to Tin Ma Court to then go on to Lok Fu MTR station or head in the other direction back to Wong Tai Sin. In total we were walking for about 3-4 hours and only racked up about 7 or 8 miles but it felt like we’d had a decent adventure and almost got some fresh air in Hong Kong.